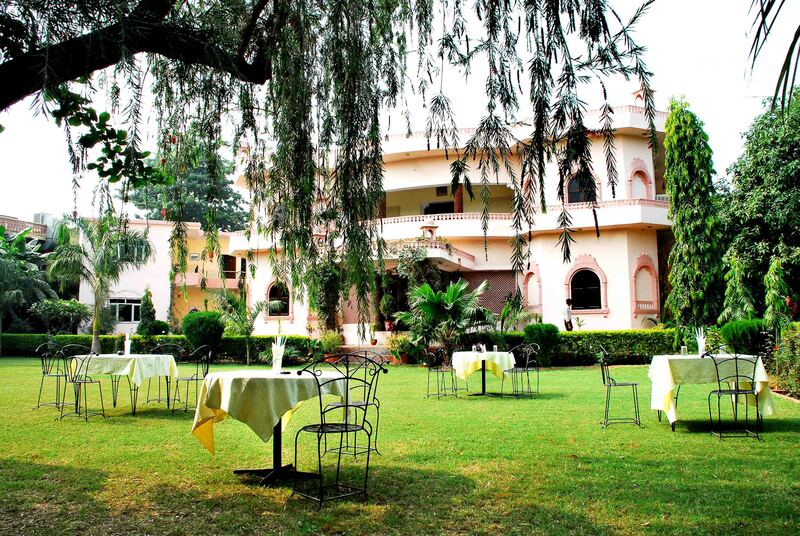 The Nahargarh resort is one of the most comfortable in the Ranthambhore National Park (Rajasthan, India). The excellent contemporary facilities and services offered make the stay expedient and provide a feeling of being at home away from home in the wilderness. Nestled in the stunning Aravali Ranges the beautiful 16th-century style fortress and pretty the Mughal garden provides a very unforgettable experience to the visitors. The lobby is magnificently embellished with the gold inlay work. This resort is not only a perfect place for the couples to have a pleasurable time together, but it is also just the option for who wants to see the diverse genus of wildlife in the lap of absolute luxury. The rooms at the Nahargarh Ranthambore Resort are spacious and fully air-conditioned, the stunning architecture of the hotel and rooms truly provides the feeling of living like a royalty in a Palace surrounded by the epitome of beautiful wildlife. The suites in the second floor come attached with the private terraces that provide a captivating view of the Ranthambhore National Park. The unimpeachable services and the luxurious amenities provided to the guests are one of the best. The colossal rooms are surrounded by the tranquil locations and most importantly, provide a peaceful privacy. The majestic grandeur accommodation of the resort astonishes one and all. The Nahargarh Resort has only one multi-cuisine restaurant with a spacious dining area, which offers the mouthwatering and delicious food. The interior of the dining room provides a relaxed and enjoyable eating experience. The resort is also has a Lancer's bar where you can enjoy a plethora of drinks. Multi-cuisine Restaurant and a round the clock Coffee shop. A Reading caf� with a good collection of books. A Swimming pool with a poolside bar for the convenience of the guests. A fully equipped Business Center to conduct of various events for the executives.